It has been a while since I last worked on this script but now I could finally fix the bug that caused the bubble to disappear right away in Internet Explorer. Go grab the latest version from the Product Page. and please let me now if it works for you. I released a new BETA version of ListAttachments for SharePoint 2013 and SharePoint Online. You can get the latest version on the Product Page. If you find any bugs, I would appreciate if you’d report them in either the comment section or the forum. Thanks! In this post I want to show you how I retrieve the attachments of a particular list item in my ListAttachments-script. In order for this code to work you will need jQuery since we are are using jQuery’s Ajax-function. What’s happening here is that we have a function called getAttachments which takes two arguments, listName and itemId. L_Menu_BaseUrl + “/_api/web/lists/getbytitle(‘” + listName + “‘)/items(‘” + itemId + “‘)/AttachmentFiles”. 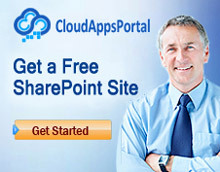 L_Menu_BaseUrl is a global variable on your SharePoint-site that contains the relative path of the current site. This script also sends odata=nometadata in the header which will reduce the amount of data that is sent back by roughly 50% by omitting a lot of meta data (which isn’t required in my case anyway). I’m also using a synchronous API call (“async: false”) since the rest of my script depends on the returned value of that function. In order to make the returned object a bit easier to work with, I then put all the information into my own object that has an attachment-counter and an array of objects that contain the file-extension, name and path of each attachment. StickyHeaders 3.0 for SharePoint 2013 on-premises and SharePoint Online has been released. I spent a lot of time to get rid of the bugs in previous versions and I came up with greatly simplified code that makes a lot of things better than before. One of the biggest changes is that the sticky headers now keep their full functionality in quick edit mode. Should you have any questions, problems or bug reports please use the comment section on the Product Page or the Forum. You just want to run a script if the page is in edit mode or just execute if it is not? This script will work Web Part pages, SharePoint Publishing pages and Wiki pages. To show the attachment field in the form as in the above screenshot without the need to click the ‘Add attachment’-button in the ribbon, simply edit the form and put the script below into a Script Editor Webpart. This Script requires jQuery. It always annoyed me that if you want to start a SP2010 workflow manually from the items context menu or the ribbon you are redirected to the page where you have to click yet another button to finally start a workflow. Update 4th of March, 2016: This script has its own Product Page now and all future updates will be posted there. Should you have any questions, problems or bug reports please use the comment section on the Product Page or the Forum. A limitation of the StickyHeaders script in version 1.0 is that it is not working in Quick Edit mode. Therefore I updated the script and released version 2.0 which is now also working in Quick Edit mode. You can download the script at the end of this post. Version 2.0 also eliminates a few bugs that showed up from time to time. While the sticky headers are fully functional in list views, the sticky headers lose their functionalities in Quick Edit mode, but I hope that I can address this issue later (I already got an idea how to do it, so check back a bit later if you need these functions). End of January I adapted the script to open list item attachments with a simple click on the paperclip symbol, which Alexander Bautz from spjsblog.com wrote, to SharePoint 2013. In the last couple of days I have made some further improvements to this script which I want to share with you. UPDATE February 13th, 2014: An even newer version is now available which you can check out here. Another requirement of one of my users is to open file attachments directly by clicking on the paperclip icon without the detour of opening the item first. Alexander Bautz from spjsblog.com wrote the perfect script for this purpose which you can find here on his blog post. Thanks for that! However, the last update was from mid 2012 and therefore the latest version is not compatible with SharePoint 2013. I made some minor adjustments to the code to restore the compatibility and I added a fade-in and fade-out animation, as well. Please consider a small donation if you found the provided information and code useful. You can also hire me as freelance consultant or developer! To do so just drop me a message via the contact form and we'll discuss the details.